I will be exposing a API to allow for this in the near future. Currently it's still in testing, and I don't want others to use it and then have it change. If you need beta testing or alpha testing any mods or on this, i would do it for you. I can only imagine all the work it took to get it this far. Patched in Redstone++ ver1.3 BETA-2. Easy fix, I just never noticed it since I always use Oak. Are you sure you saved it? With all the new bugs occurring I feel like it's my fault for asking if you could make it work with the magnet piston mod, I apologize if that caused it. Na, the bugs are from a major rebuild that's been going on for several months now. It may not look like much has changed since 1.2d, but under the hood a lot has seen some major overhauls. There are a lot of things that are now possible, though I haven't added the config options yet as this stuff is still experimental. It's only just recently become somewhat stable again. I had long planned to release several beta version, the first few just to get it to the point where it's at least as stable as 1.2d, before pushing the final 1.3 release. For example and while this has not been released publicly yet, I have add an API to allow blocks to explain to Pistons/Rotators how/if they should be moved. This was originally designed to allow other modders to fix compatibility problems with their TileEntity blocks being moved by pistons, but it would also allow for things like custom slime blocks, moving multi-block structures, ect. Fixing the Magnet Pistons in 1.2d would have taken me awhile, but in 1.3 it took only 5 minutes. 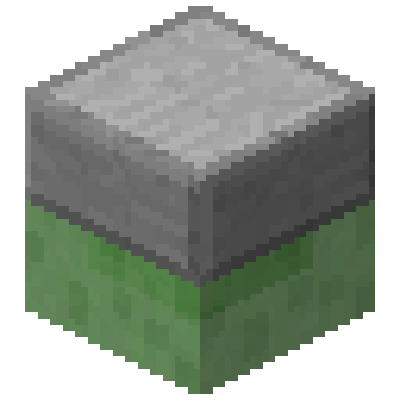 I rember back in 1.7, before slimeblocks were introduced, I came a accross a post saying that it would be cool if you could right click with a slimeball onto the face of a block, and then any block that came into contact with that face of the block would stick to it. You've done something very similar with the half slimeblocks, but this would give you even more control. Just an idea. I do like the idea, the problem with that is a bit technical. The only way I could possibly make that work would be to change every block you put slime on into a TileEntity block that mimics the original, with a SpecialRenderer to render the slime. This would introduce lag as well as quite a few compatibility issues. I likely won't get around to it, but if anyone wants to do that(in like some sort of add-on mod), I happily alter these pistons and rotators to make it work. Is there a way you can port this mod to 1.7.10 even if it removes some of the features? No, backporting to pre-1.8 would require a complete rewrite. I did fix it, as well as the instant-break crafting tables mentioned below, but now I'm having more problems with chests. It's looking like I'm going to have to patch them so they work like the MC1.13 chests. It'll prolly take me till next week to fully patch them, tho if you guy want I could release the current version with the buggy chests later tonight. To be clear, currently moving double chests is problematic, everything else works. There is a known crash when moving TileEntities, with both Pistons and Rotators. However, avoiding TileEntities, I'm otherwise able to use the Rotators just fine. Tested under Redstone++ ver1.3 BETA-1, Forge 14.23.4.2705, Minecraft 1.12.2, Mac OS High Sierra 10.13.4, Java 1.8.0_121 (Mac mini, 2.5 GHz Intel Core i5, 16GB 1600 MHz RAM, Intel HD Graphics 4000). Please file a bug report in the tracker, including all version information, system specs, and a crash report.